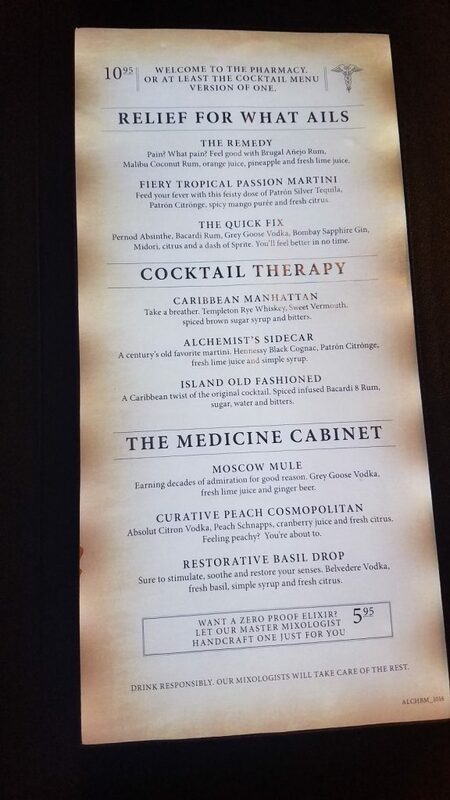 I always think of Carnival Cruise Lines Alchemy Bar when I want a great drink! 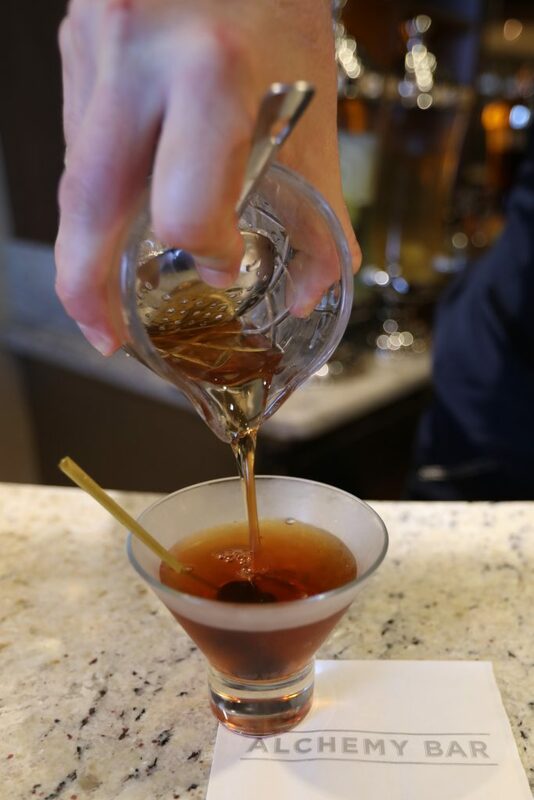 Perhaps the reason for this is their twist on the classic Manhattan; the Caribbean Manhattan. All I can say is Delicious! Okay, I can also say that I want one now! 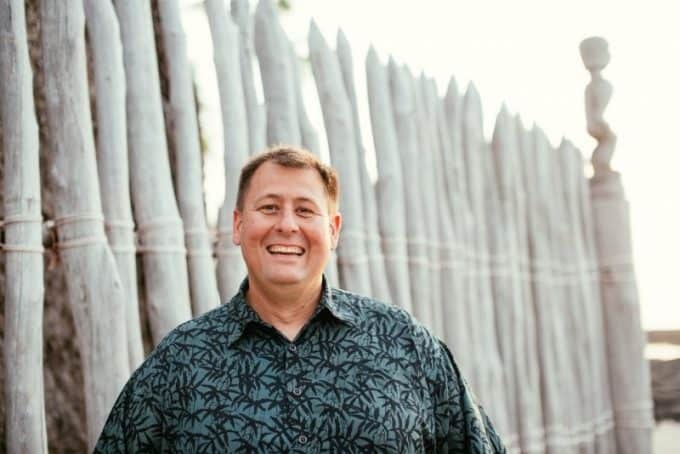 Trust me that you will want to make this a priority when you find yourself on a Carnival Ship. Until then you can make this at home with the recipe below. Cheers! I am excited to share how to make a Caribbean Manhattan Cocktail Recipe on the blog today! 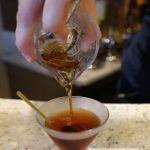 For those days when you can’t be on a Carnival Ship visiting the Alchemy Bar, you can make one at home! Are you wondering what other elixirs you can order to cure what ales you? 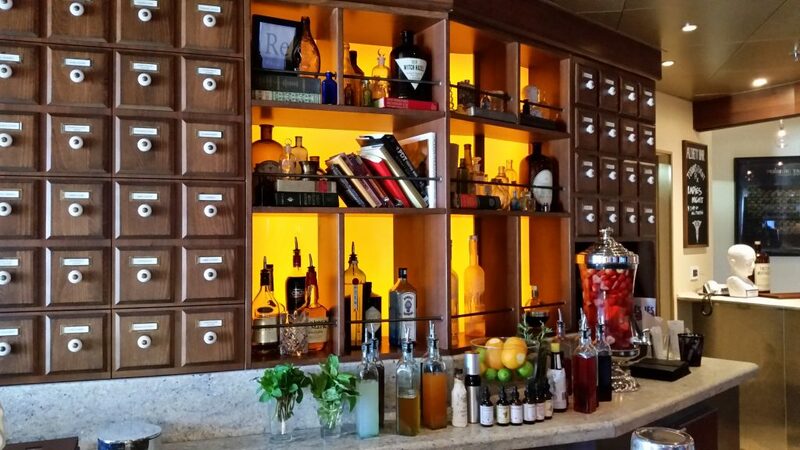 Check out the Alchemy Bar Menu! Hello yum! 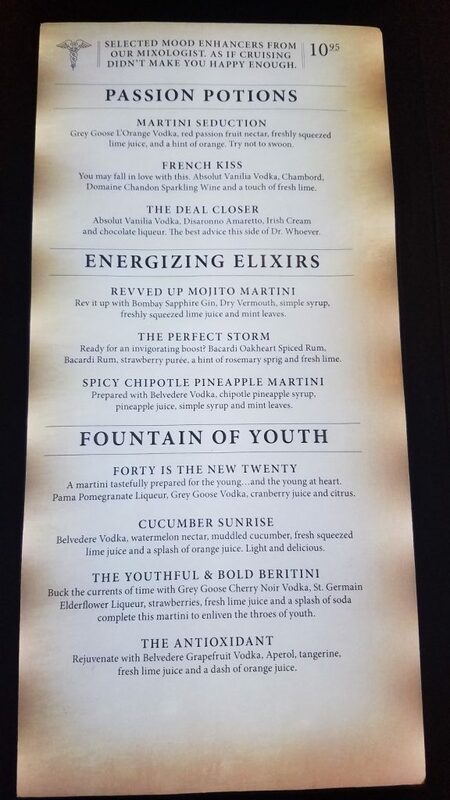 So many amazing cocktails can be found on the Alchemy Bar Menu! I just love the look of the Alchemy Bar! It is classic yet updated and oh so cool! They use fresh produce and herbs to make amazing drinks that are oh so good! I have a couple of cocktail recipes from the Alchemy Bar to share with you in the upcoming weeks. You can find the Alchemy Bar on 18 Carnival Ships as of June 2017 including the Carnival Breeze, Carnival Conquest, Carnival Dream, Carnival Ecstacy, Carnival Freedom, Carnival Glory, Carnival Imagination, Carnival Inspiration, Carnival Liberty, Carnival Magic, Carnival Miracle, Carnival Pride, Carnival Sensation, Carnival Sunshine, Carnival Triumph, Carnival Valor, Carnival Victory and the Carnival Vista! Carnival is updating a lot of ships to the 2.0 options which include the Alchemy Bar so this list will continue to grow! Plus the all new Carnival Horizon is due to hit the waters in 2018! I can’t wait to see all of the new innovations and fun things Carnival is going to roll out on their new ship. We had the chance to enjoy a cruise on the all new Carnival Vista this past year in Europe and it blew us away. Even after 10+ days on the Carnival Vista cruising the Mediterranean I still feel like there is more to explore with this great ship. Mix ingredients over ice, stir and strain into a martini glass. Garnish with cocktail cherry. I always feel like a grownup when I have a Manhattan. Great recipe. I have never had this drink, will definitely try it at least once. 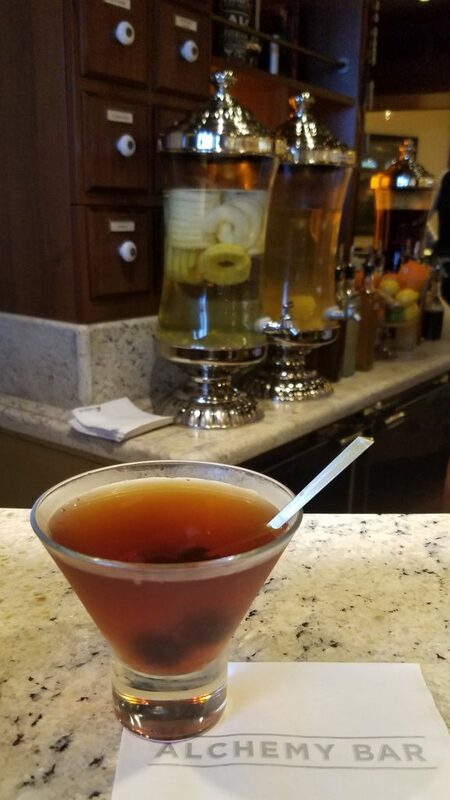 I recently went on a carnival cruise myself and I found myself at the alchemy bar & the carribbean Manhattan was one of the drinks I decided to try. This drink was perfect since I’m not too much of a fruity drink type of person. Another thing I enjoyed about this drink is that it was a twist on a classic manhattan and it didn’t seem to disappoint me at all! I am so glad you enjoyed the cocktail. We are big fans of the Alchemy bars. Which Carnival ship were you on? My family & I was on the carnival liberty ship. I just off the Sunshine. They are using Jack Daniels Rye with Cizano1757 sweet vermouth spiced brown sugar syrup and bitters. Excellent.